From the publishers’ website: “Lauren Sheehan’s career in medicine came to a halt after a chain of violent events abroad. Now she’s back in the safest place she knows-St. Helens, Wisconsin-cut off from career, friendship, and romance. Ben Hanson’s aimless young life has bottomed out after a series of bad decisions, but a surprising offer from his father draws him home for what looks like his final second chance. 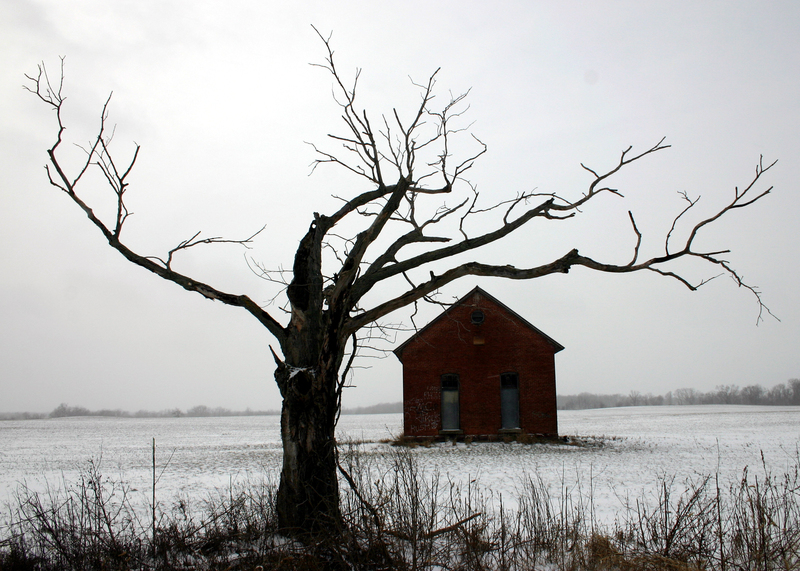 In Wisconsin, he finds his family fractured, still unable to face the truth behind his troubled cousin’s death a decade earlier. I had a mixed reading experience with this book. Sometimes I found the story compelling and I wanted to read on, while at other times I was bored. I enjoyed reading about Ben arriving in his childhood town, getting to know the place (again) and the people. But there were memories that I didn’t care about intermixed with this story. Later on in the book, it becomes a thriller for a while, which was all rather exciting. As the book is told by both Ben and Lauren, the perspective shifts every so often, which I like. I love reading events and situations from different perspectives or, like in this case, the story often continued through the alternating narrators. I didn’t particularly like Ben. There wasn’t really any good reason why he should hook up with Lauren but he did. You know, in many books you get the idea that two people are meant to be together. In this book not. That is maybe because they were portrayed in a more realistic way, but on the other hand, I didn’t really care whether they’d be together or not. And while this was not a romance novel (nor I a romance reader), it would have given the story a bit of tension that it lacked in places. Still, it was clear from the moment Lauren joined the narrative, that she would be involved with Ben in some way or another. At first, their lives were very much separate and when they did meet, Lauren showed no interest in Ben whatsoever. So the foreshadowing made me curious to see how they would end up in the same story line. Sometimes the story was a bit vague, I wouldn’t know what to do with the information on the page. For instance, there were thoughts that at that point in the book didn’t seem to relate to the ongoing story. I was left a bit confused at times. But most loose ends are tight up at the end of the story and overall, I enjoyed it. There are some skeletons in Ben and Lauren’s cupboards, and not just in theirs, and when the past becomes current, the book certainly gains pace and becomes quite compelling. Sheila, in this book I didn’t mind so much not liking the characters, but I think the story would have worked better for me if I had. I like stories told from multiple perspectives too! Trisha, I especially love it when the people have completely different interpretations of an event. For instance, one person thinks someone did something because of A and getting all upset, and then the other person tells us they did it for no particular reason (or a different reason altogether). 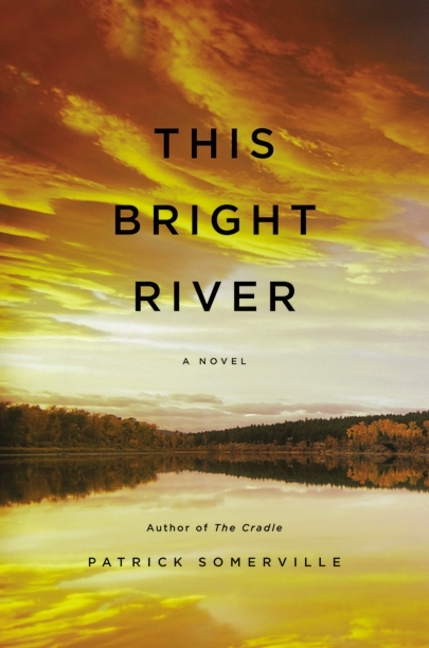 I hated giving THIS BRIGHT RIVER by Patrick Sommerville less than five stars because the last part of it rates that. I almost gave it three stars because the first half of it wanders here, then there, then there, then to the past, than to past that, then back to the present for a minute, etc. It’s very difficult to know where you are and who is who. On top of that, regardless of where or when, it rambles, particularly when Ben is thinking, which is often. His thoughts go on and on in huge, rambling paragraphs. Once, when Ben’s cousin was drunk and high, he rambled in one four-page paragraph. It seemed that Sommerville needed to master the art of plot. That first half (or so) is all over the place and plotless. But he writes so well, I stuck with him, and you’ll want to, too. Although Ben’s thoughts continue to ramble in long paragraphs in the second half of the book, there is a story. As a matter of fact, there are two stories. And they are magnificent.